Have your Realtor walk through your home with you to determine if there are some updates that you should make. 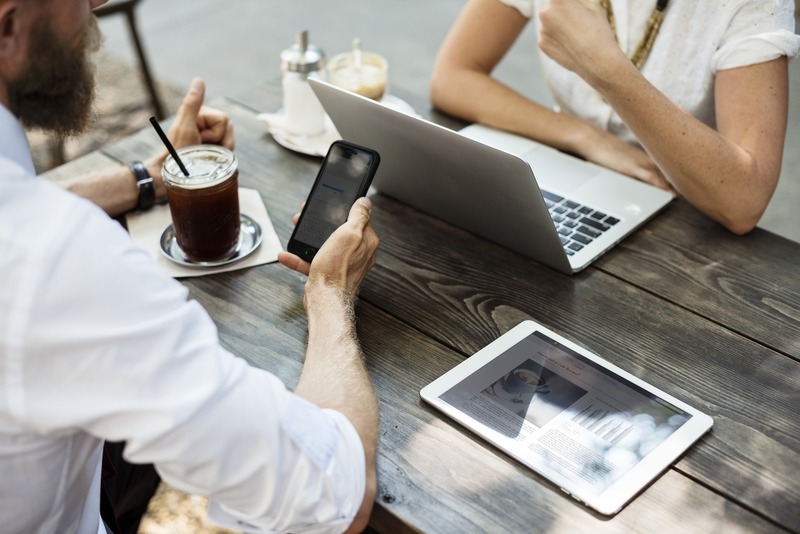 Your Realtor knows the market and can provide sound advice for appropriate changes that should be done according to the market. You don’t want to over improve your property or do things that are unnecessary. Find more information about updating your home here. Schedule a pre-inspection. It will allow you to identify any items in the home that are in need of repair or safety upgrade. You can fix these items yourself or hire one of our referral partners to help. Identify what you need help with and your Realtor will be able to assist you with this. They can also help you set up appointments with professionals to meet your needs. Start pre-packing. Everything that is valuable to you or that is personal should be packed for security and showings. You want the buyer to visualize this as their home, not yours. Clean everything like you would during a Spring Cleaning. Making sure that things are tidy and bright are very important when selling a home. 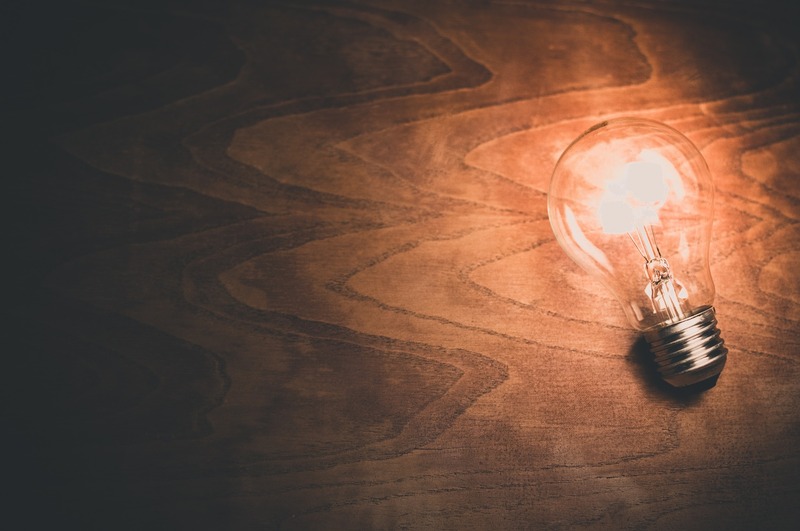 Replace all lightbulbs with the brightest bulbs you can put in the lights and make sure none of the bulbs are energy saving bulbs. You want all the lights to come on bright right away. Work with your Realtor to identify the right stager to help you stage your home to sell. 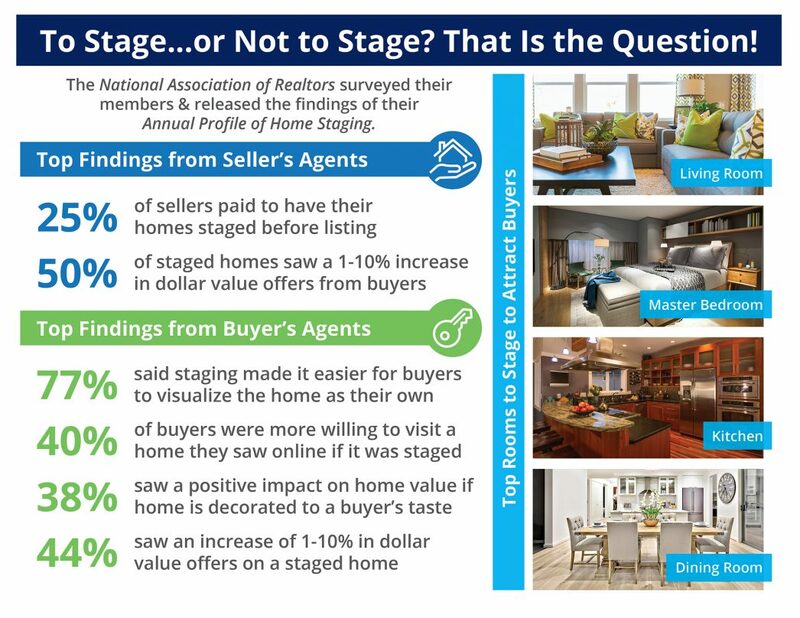 Homes with staging sell 6 times faster and for more money than those that are not staged. Read more about staging below. 1. Put yourself in the shoes of a buyer and walk through your home. What do you see that you like and what do you see that you would like to change? 2. Clutter is the enemy! Your home should be as open and inviting as possible with only the most necessary things out in the open. 3. Your potential buyer should be able to imagine your property as their home. Remove your personal items like family pictures. Depersonalizing your home will open the door to buyer imagination. 5. Furniture placement, and even the type of furniture can make a huge difference in the overall perception of how the home will work for a prospective buyer. If staging is not your strong suit, DO NOT WORRY! We have a team of top professionals in the area who assist us in all facets of a real estate transaction. We have the premier staging company in the Fox Valley as part of our VIP Referral Partner program. Call us for a referral!